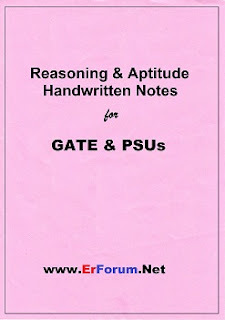 This note will cover both Verbal Ability and Numerical Ability Syllabus of GATE Exam. This General Aptitude note includes General English, Reasoning aptitude, and Numerical Aptitude. 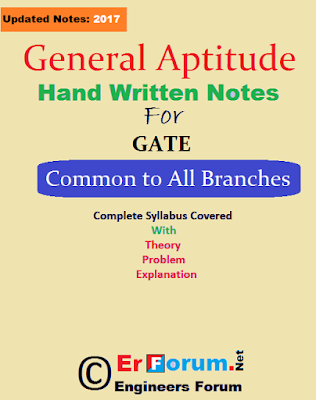 Find gate aptitude notes here. Please Contact us at erforum.net@gmail.com for more details.